Begur is a lovely seaside town in the department of Baix Emporda in the Catalonia region of Spain. Begur is a seaside town with a historic town centre and some excellent beaches. On a hill behind the town is its medieval castle and about 5 minutes away by car are about 8 attractive beaches on the Costa Brava coast. 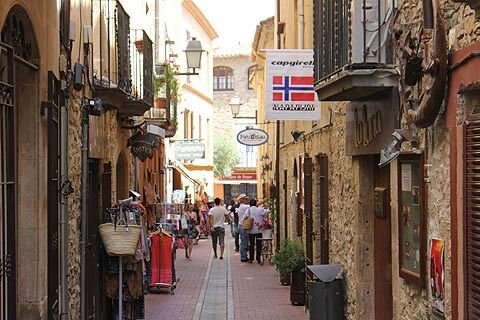 If I was choosing a place to live on the Costa Brava I think Begur would be my preferred destination. It is not directly on the coast which means it is not swamped by tourists. Yet it has a good local bus service with buses each hour to the beaches. 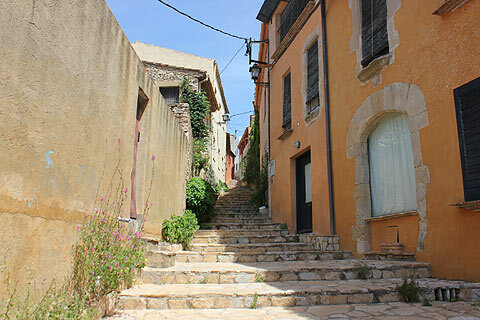 The town of Begur is very pleasant and it is an enjoyable, though steep walk to the castle from where you get some fabulous views of the sea - a very pleasant way to get some daily exercise! The castle was built in medieval times and was destroyed during Napoleonic times. There is not much that remains of the castle - it really is for the splendid views that it is worth a visit. Look for Castle Street for the start of the walk up to the castle. Apparently residents on this street used to have to offer a glass of water to the lords of the castle as they passed by as a token of respect. The town itself has an attractive old centre with narrow cobbled streets, a pleasant main square and lots of attractive well preserved houses including a number of grand colonial houses built by emigrants to Cuba and South America who made a fortune abroad and came home to build houses influenced by the Americas. 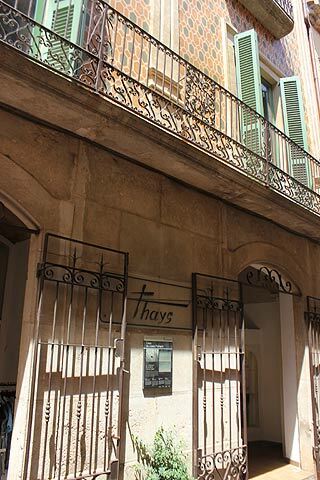 These include: Can Petu a grand house with a lovely interior; Can Pi with a south-facing garden (a feature of many of the returning emigrant's houses); Can Sora with beautiful frescoes of the Americas; Casa Bonaventura Caner Bataller and the Casa Josep Forment built in neo-classical style and many more and are they are well worth a look. 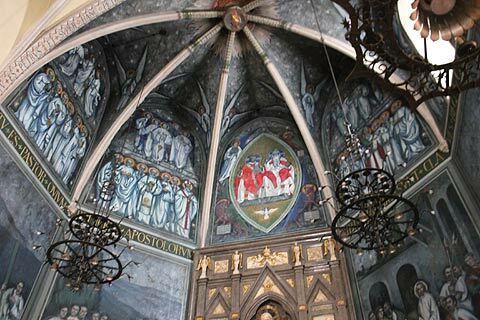 The Casa Pere Cortada Sabater has beautiful murals painted by Pere Cortada covering its walls. As it is now a restaurant you can admire these at the same time as you enjoy a nice meal. The menu looked good and not too expensive. Also in the town is the reconstruction of an 18th century hermitage that was destroyed during Spain's civil war and various 16th century defensive towers, part of the towns original fortifications. As well as its beaches Begur has some wonderful coastal paths details of which can be picked up from the tourist office. There are also some very nice hiking trails (senders) and old paths (camins vells) crisscrossing the countryside. The coastline around Begur is a wonderful mix of craggy cliffs and small coves with a number of good beaches. 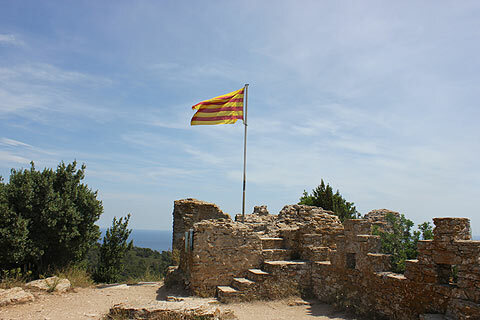 There are 8 within easy driving distance of Begur and some of the walking routes head out to the beaches too. To the north there is the Platja del Raco - the largest beach with great views over the Medes Islands. Then heading south there is the Illa Roja cove, one of those beautiful beaches that have large rocks sticking out of the water - this beach is a famous nudist beach. Then there is the Sa Riera beach. This is the closest beach to Begur and one of the largest. It has plenty of facilities including sports activities, hotels, bars and restaurants. A little to the south of these three are the beaches of Aiguafreda and Sa Tuna. Aiguafreda is a small, sheltered cove with a small quay for boats. The Sa Tuna cove is a small cove with a stony beach. Further south again are another three beaches. The Platja Fonda involves a descent of a hundred steps to get to the beach which means it remains quiet. It has grey sand and beautiful clear turqoise water. The Fornells beach is three coves with deep water making them perfect for snorkeling and diving. Aiguablava is particularly charming. It is in a sheltered cove with shallow water and so it gets nice and warm. From the beach you have views of the Cap de Bergur cliff. The surrounding hillside is also relatively free of buildings. During the holiday season there is a shuttle bus that runs regularly between Begur and four of the beaches: Sa Tuna, Sa Riera, Fornells and Aiguablaya. 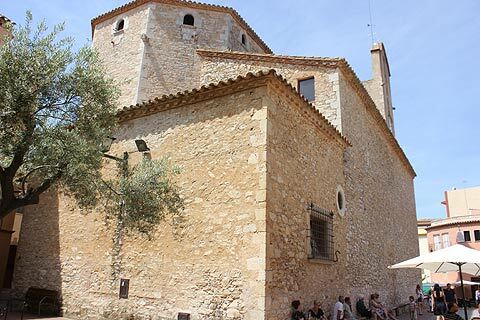 On the north-west edge of Begur is the delightful village of Esclanya which has a Romanesque church and a large square tower - all that remains of a 14th century castle. The tower is also built in Romanesque style. 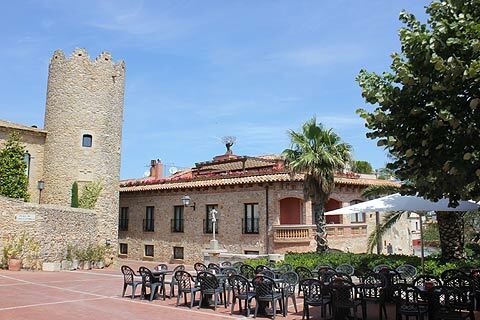 Peratallada is also nearby and this is one of Spain's most beautiful villages. Close to Begur on the coast is the upmarket resort of Llafranc - the place to go if you want to do a bit of people-spotting. It has a beautiful bay and many chic restaurants and bars. The Hotel Llafranch dominates the beachfront and was a popular choice with Salvador Dali. Admire the amazing villas scattered around the bay. The beautiful seaside villages of Calella de Palafrugell and Tamariu are also not to be missed.